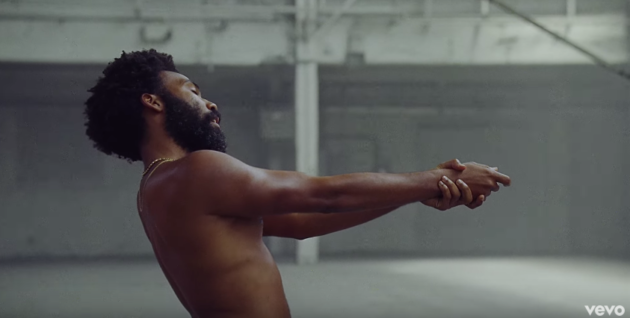 In the wake of Childish Gambino’s new video “This is America,” we learn that art often imitates life and is best when it sheds light on controversial topics in a non-confrontational way. The new hit TV show on the CW “Black Lightning” just concluded its first season, addressing black empowerment, systemic poisoning of a community, police misconduct and corruption. DC Comics debuted “Black Lightning” in 1977 as their first headlined black superhero. The move came as a response to Marvel’s line up of black heroes such as Luke Cage, Black Panther, and Black Goliath. Black Lightning stars Cress Williams as the vigilante by night and Garfield High School principal Jefferson Pierce by day. Most of the protagonists in the superhero genre are the typical white male or female. However, Black Lightning is an educated black man risking his life to keep his home of Freeland safe. Black Lightning also fights alongside his daughter Anissa Pierce, whose superhero name is Thunder. Black Lightning’s superpowers come from within -- having the ability to manipulate bio-electric currents in the human body and shoot lightning blasts. He was born with the powers as was Thunder, who possesses super strength and can create shockwaves with her hands. Anissa Pierce (Thunder) plays a significant role in Freeland as a teacher at Garfield High School and an activist. She organizes rallies protesting the 100 Gang, a notorious crime organization ravaging Freeland, and speaks out about police brutality. Both Black Lightning and Thunder represent positive black role models who are making positive contributions to their community. Regarding Thunder, on one episode a citizen remarks how good it is to see her challenge patriarchal roles and fight for justice. The climate of the day says #BlackLivesMatter and #BlackGirlMagic, which run as undertones to the storyline of Black Lightning. 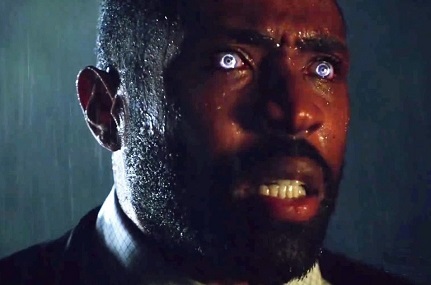 Black Lightning's subject matter is relevant, which is an important aspect of connecting with the TV audience. The images on the show will shape the outlook on life, especially for young children. We see a well-educated Black principal, a smart black female science teacher and a successful black female neuroscientist. The content on the show also encourages the viewer to question the negative occurrences in one’s community. The community of Freeland has an ongoing drug problem with a substance called green light. The drug is directly responsible for many deaths and young lives taking a turn for the worse. Green light was introduced to Freeland roughly 30 years before present day Freeland. The influx of green light into Freeland took place as an “experiment” to control the population. The American Security Agency (A.S.A. ), a secret government organization put the experiment in motion, targeting young children and teenagers. The experiment damaged a whole generation and indirectly caused the death of Jefferson Pierce’s father. The storyline of green light bares a great resemblance to the crack epidemic of the eighties in the United States. In the early 1980s, cocaine usage became prevalent in metropolitan areas. However, a change in the economics of the cocaine drug trade led drug dealers to convert cocaine to a smokable solid form called crack. The new product could be sold to more people in smaller quantities, simple to produce, highly profitable and cheap. These attributes gave rise to the explosion of crack usage. According to the 1985-1986 National Narcotics Intelligence Consumers Committee Report, crack was available in Los Angeles, New Orleans, Memphis, Philadelphia, New York City, Houston, San Diego, and a host of other urban areas. Subsequently, all the urban areas above reflect predominately minority populations. The epidemic spread throughout the entire U.S. except for four states by 1987. The parallel with Black Lightning is the correlation of the C.I.A.’s hand in poisoning these urban communities. Although the C.I.A. did not explicitly bring crack into these neighborhoods, they notably turned a blind eye to cocaine shipments and notorious drug dealers. The next step in the breakdown of these urban areas came through the justice system. The penalties for offenders dealing and using cocaine were less harsh than those caught with crack. Cocaine was more of a “white-collar” drug, thus mainly found in the suburbs among white America. As stated earlier, the urban demographic consisted of mainly minorities, who were the crack offenders. Consequently, the crack epidemic severely crippled a generation of minority men, either through death or incarceration. In “Black Lightning,” green light also had an adverse effect creating young people with superhuman abilities. The ASA did not account for such a hitch in their experiment and began abducting those found to have abilities. Present day Freeland still consists of child abduction by the ASA, as well political corruption and police misconduct. Although Black Lightning is a superhero with superpowers, he still lives his life as a black man in Freeland. Jefferson Pierce has an unfair run in with the law in one episode. Pierce was never officially charged with any crime yet was given a full prison jumpsuit. In the episode “Black Jesus: The Book of Crucifixion,” the A.S.A. set a plot in motion to frame Jefferson Pierce and capture him. We see Jefferson Pierce’s assistant vice principal from Garfield pay off two corrupt cops to drum up a fake warrant and plant green light on the principal. The cops show up at Garfield High school with an extensive backing to arrest Pierce. The cops break into his car and plant drugs as well as raid his office to plant more green light. As Pierce confronts the officers, he must display enormous restraint not to use his powers. Pierce’s restraint served two purposes -- firstly, to protect his secret identity and secondly, to show his students that one must comply with officers of the law. The cops threw a barrage of insults at Pierce and roughed him up unnecessarily while cuffing him. The abuse of Pierce continued at the station as he was subject to treatment as if he were a hardened criminal. The episode paints a very telling picture that far too many black men have faced in America. The dialogue was very poignant throughout the ordeal, highlighting the blatant injustice. “Black Lightning” may not cause swift changes in our society as far as injustices go but keeping it in the forefront for conversation is definitely a start. The second annual Egbe Festival offers festival-goers performances, foods and vendors from throughout the African diaspora at the Historic Virginia Key Beach Park on the second day of African-American History Month. Seeing as we are up in arms about the “Surviving R. Kelly” docuseries, have we ever stopped to wonder how he is only one of many artists who has been influenced by a hyper-sexualized culture in music as well as who has influenced the culture, in kind? Double consciousness was coined by W. E. B. Du Bois in 1897 to describe an individual whose identity is divided into several facets.This was ever present in the movie Green Book.